This is one of my favorite daylilies of all time, H. 'BROOKWOOD WOW.' It was hybridized by Leo Sharp, a name you might recognize from recent pop culture. Leo Sharp was my friend, and in the tapestry of the people I have known in my life, he is most likely not the only criminal. In 2014, I worked for several months with a reporter for The New York Times Magazine on a story eventually titled "The Grandfather." The writer and I became friends, exchanged dozens of our best photographs and stories of history and interest with Leo. We talked for hours on the daylily community, daylily people, and the daylily as a perennial. I lovingly and protectively shared a few of my favorite Leo anecdotes and also my own copies of the beautiful Brookwood catalogs. Sam Dolnick (the NYT writer) felt empathy for Leo and that shone in his piece (https://www.nytimes.com/2014/06/15/magazine/the-sinaloa-cartels-90-year-old-drug-mule.html) He became fascinated with Leo and his place in the daylily world. The rights to this story were sold for the movie 'The Mule,' and I have deeply mixed feelings. I wasn’t the only one who worked with the reporter, at least one other AHS past-president was quoted, as was the late, internationally-great Gisela Meckstroth. Gisela and I were both shocked by the made for TV arrest, but neither of us were really surprised at the presence of some international intrigue. If you never had the chance to experience Leo in person, he was a larger-than-life personality with a heart of gold and a dash of boast. 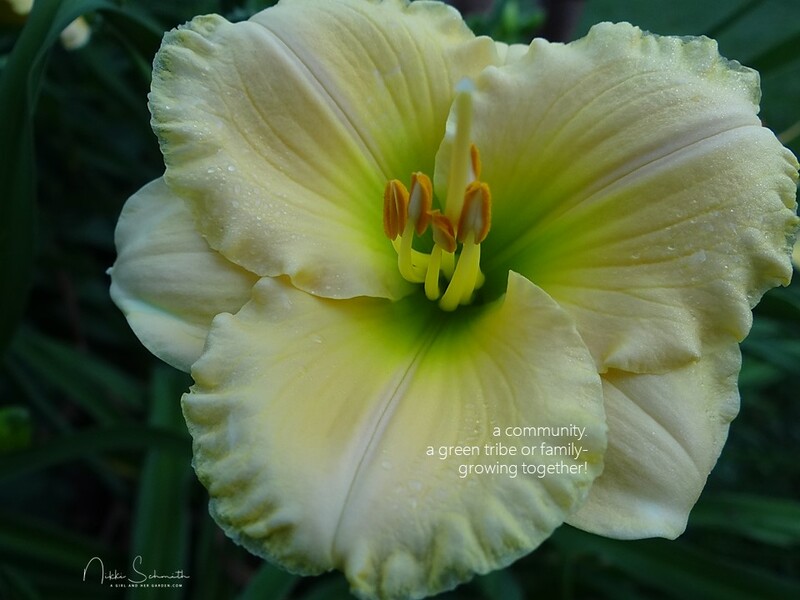 We shared a Region, held the same regional offices, traded stories and encouragement from the trenches of volunteer service, and a love for perfectly formed porcelain-like daylilies. I've won Best In Show with a 'Brookwood' daylily three times and won Best In Section and purple ribbons on countless other 'Brookwood' entries. The photos of Leo (expertly) selected for the NYT story break my heart every time I am reminded of it, and my own last photos of visiting Brookwood Gardens are haunting. Like I said, he was my friend, too. I guess none of that really matters in the end, though. We are all covered in beautifully faulty facets - no matter how deeply or flawful the sides are carved throughout our lives, I believe you take the good with the bad in people and find a palatable medium with your own moral compass. Following his initial arrest, it was proposed to revoke every award he ever won. After his conviction, it was brought up again- the scrubbing of our history to eliminate the negative. I was asked to remove posts on my blog of Brookwood daylilies and a few stories of Leo. One club refused to take plants with the 'Brookwood' prefix for their plant sale. If it were only that easy to erase those who violate the law or moral code from our membership. I don’t have any delusions that AHS or the daylily will experience a spike in interest, or a decline in membership because of the movies making and I dont think I can sit through it. Even the commercials bring back swirls of haunted conversation. I remember Leo saying to me, in his own weed-filled garden about 10 years ago..."this one is going to bring me my first million." He was talking about 'Brookwood Julia Sermon.' He explained he had a patent and distribution deal for it, which is why he had to coyly refuse to sell me a piece that day. He was a character, for sure. Kind, greedy, compassionate, corrupt, and so smart - yet so flawed. But I believe Leo would get a kick out of Clint "playing him" in the movie. And that thought is enough for me. Here are some other blogs where I share stories, photos or history about Leo or Brookwood daylilies. We'll stop when it looks cool.